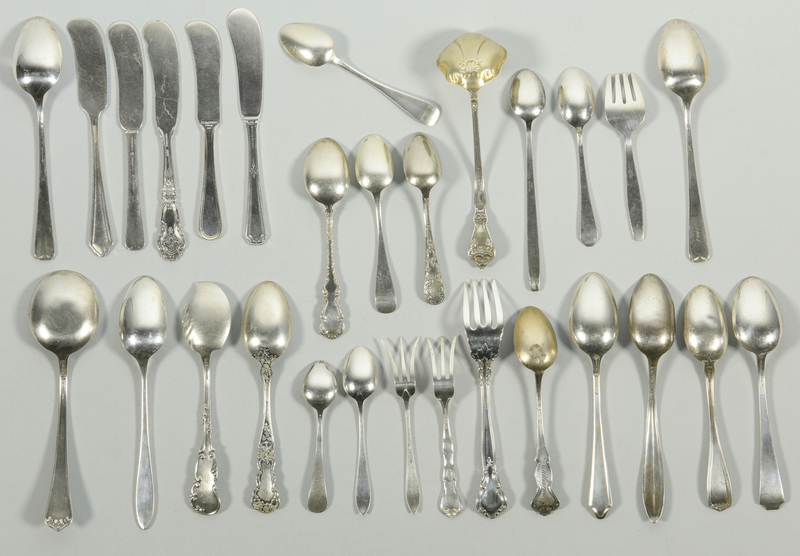 Lot 846: Assorted Sterling Silver Flatware, 52 pcs. 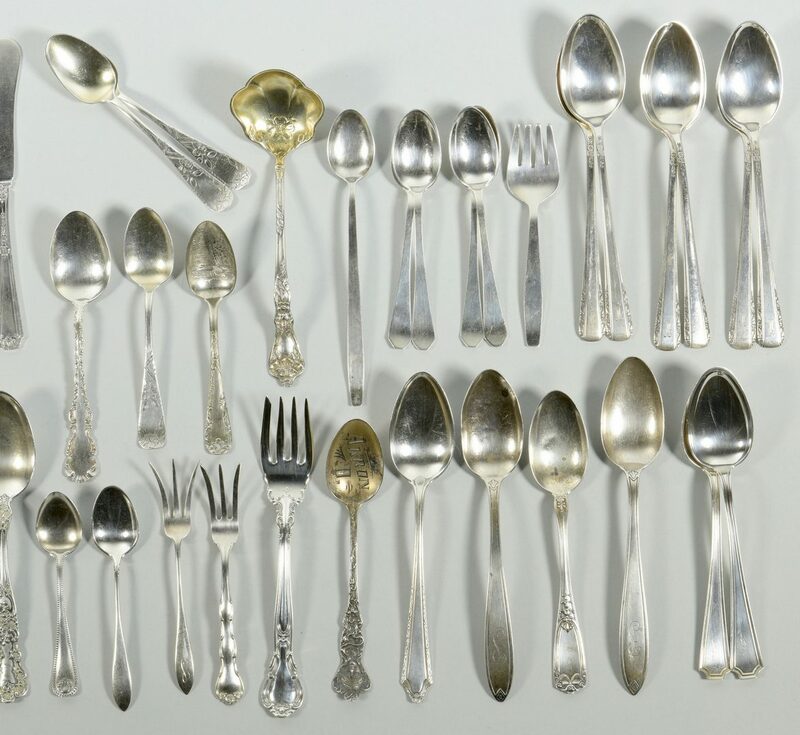 You are here: Home >> July 30, 2016 Historic Southern Summer Auction >> Lot 846: Assorted Sterling Silver Flatware, 52 pcs. 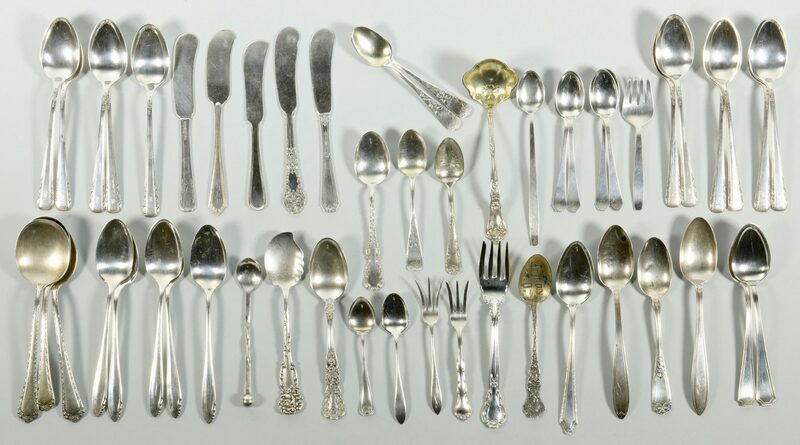 Assorted group of sterling silver flatware including 11 International Courtship pattern teaspoons, monogrammed, 4 Heirloom Lasting Spring pattern teaspoons, 9 other teaspoons, plus 2 soup spoons, 1 infant feeding spoon, 1 baby fork, 10 various demitasse spoons, 5 various flat butter spreaders, 1 Gorham Chantilly fish/salad fork (5 3/4" L), assorted patterns including 2 sugar spoons, 2 lemon forks, 1 cream ladle, 1 jelly knife and 1 mustard spoon with twisted handle. 52 items. 3 3/4" to 6 1/4" L. 35.625 oz troy. CONDITION: Overall good condition with slight surface scratching and general wear. 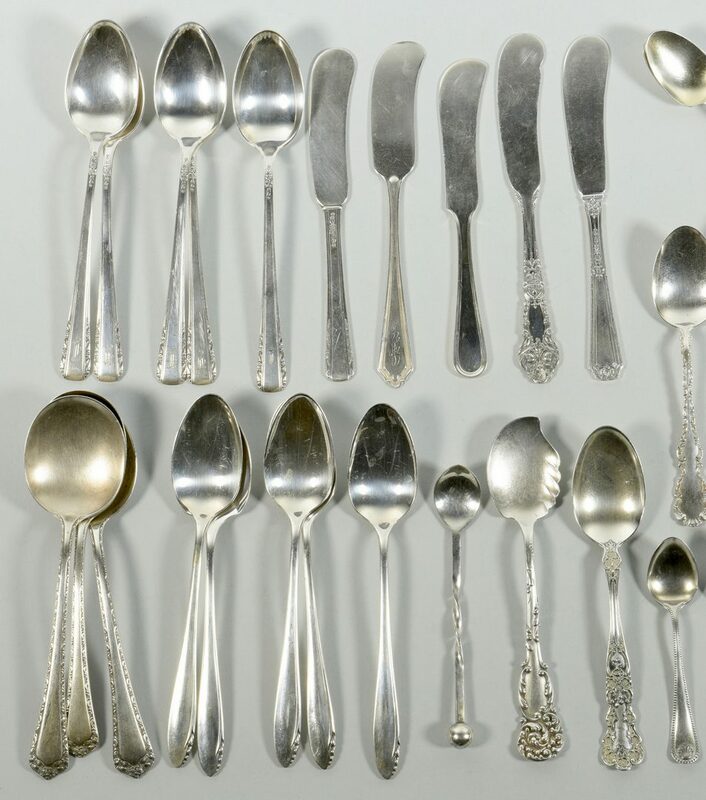 Some items with monograms.